If your business needs printing done for whatever reason, the best thing to do is hire professional printing services for the job. Maintaining an in-house printing service isn't really a viable and cost-effective option for the majority of businesses out there. 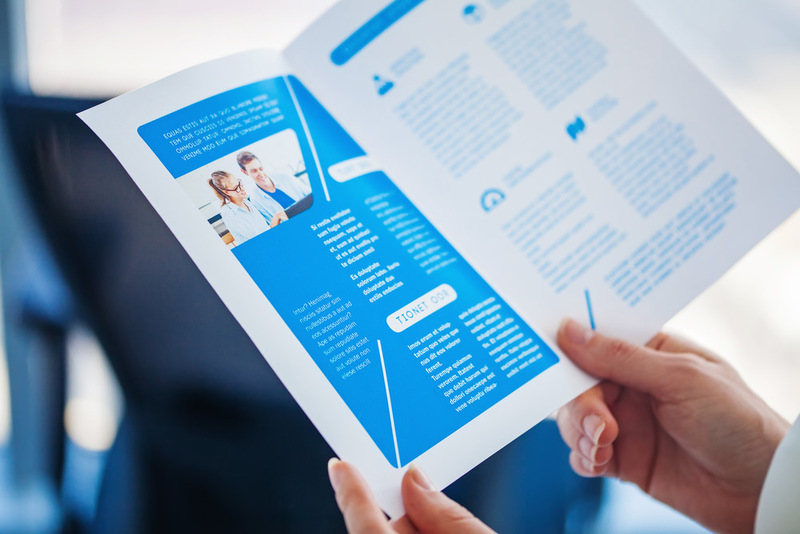 There are many advantages to working with a professional printing services company when your business requires printed materials. A professional printer will maximise the speed of your operation by giving you the finished product in a timely manner. On the other hand, professional printing services will guarantee the consistency of your finished product since they accept bulk orders from clients. You can rest assured that the print job will look slick, stylish, and professional when you work with the right printing service in Australia. A professional will guarantee a perfect job the first time around - thereby saving you a lot of time and money in the process. That is why you should work with highly specialised and professional printing services in Australia when you need printing done for your business. This article provides information on the different types of printing services. What Are The Different Types Of Printing Services? This is a method that is used to print on packages. This method is named "Flexo" because it was originally used to print onto corrugated cardboard - which comes with an uneven surface. In fact, the printing plate has to be flexible in order to maintain contact with the cardboard. That is why the printing method is known as "Flexo" or "Flexography." The method had very low quality in the beginning, however, with the latest technology in the industry, great advancements have been made within the past couple of decades. The method of creating the plate and the plate material have been improved as a result. In fact, the flexo method has an advantage over the lithography method since it can use a wide range of inks. On the other hand, flexo is great for printing on a wide variety of materials. This is a method that is used to print text with movable type. The raised surface of the type is inked and pressed against a smooth substance in order to achieve an image. This form of printing was widespread across Eurasia for printing patterns on textiles. Johann Gutenberg invented the movable type printing from reusable letters set together in a forme in the 1400s. With industrial mechanisation, the inking used to be carried out by rollers. In fact, with the technological advancement across the world, computerised typesetting and imaging replaced cast metal types, and letterpress began to die out. This is a very popular printing method. The inked image is transferred to a rubber blanket from the plate. Then the image is transferred to the printing surface. There are many advantages for this printing method such as the consistent high quality in the printed materials and the quick and easy production of printing plates. Offset printing is the most commonly used method for printing the bulk of desktop publishing on paper. This method creates sharp-edged images using a stencil. The screen is made out of a porous fabric that is finely woven and stretched over an aluminium frame. The fabric was initially made of silk but changed to polyester or nylon in the 1940s. The ink will pass through the open spaces in the screen onto the paper or fabric below. The screen can be reused after cleaning it. If the project needs more than one colour on the same surface, the ink is allowed to dry and the process is repeated using another screen and a different ink. This printing method is used to create many bulk graphics such as posters and display stands. This is the latest printing method out there. It reproduces digital images on a physical surface such as cloth, film, or plastic. Every impression made onto the paper is different when you use this printing method. Digital printing comes with many advantages that includes impressive quality and consistency compared to other printing methods out there. The colours show up perfectly on the prints. In fact, you won't find any issues with harsh lines. Since there are very few steps in the whole process, your printing order will be completed and delivered quickly. This method doesn't require printing plate hence, the technique is quite cost-effective compared to most of the other methods. This printing method is great for short and medium print runs. Why Choose OnPack For All Your Printing Requirements In Australia? OnPack is a leader in product label printing in Australia. We serve a wide variety of industries such as food, consumer goods, beverage, health and beauty, logistics, and sports nutrition. Call us today on +61 3 8388 8100 for all your digital printing needs in Australia.